Take a step back, and answer this question: How serious are you about conversions? Every brand may have great start to their business. A sharp copy, a powerful landing page and a well-thought-out consumer buying strategy, but it hurts to see your customers abandon their cart minutes before they are close to making a purchase. But how can we measure our steps and see meaningful conversions to retain your customers. Serious conversions isn’t just about making amendments to your landing page, or tweaking your business model, testing your web page copy or optimising your promotions. It’s about using remarketing to level up your conversion rates and stay appeal among your target audience. Almost 96 percent of consumers visit a website without completing the buy action. That is when you start to think more seriously about conversion. 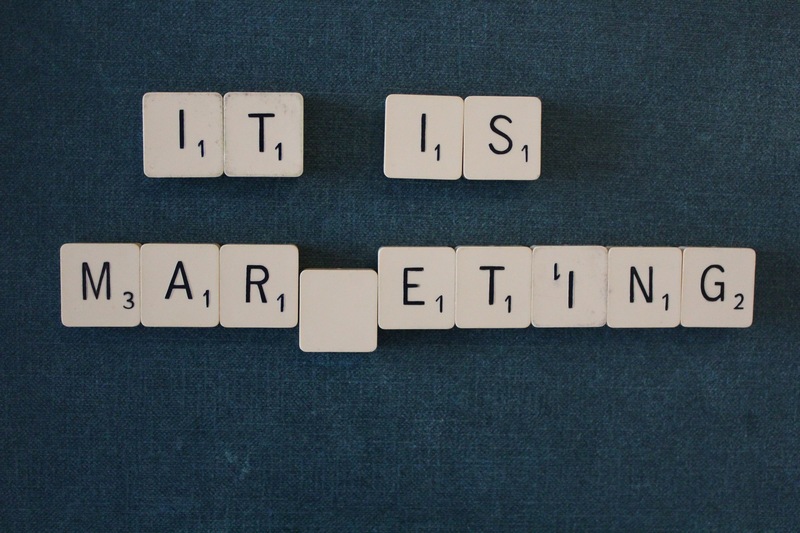 What is remarketing in a nutshell? Remarketing, is not creeping up on your customers as what most people think, rather it is about recognising your visitors preferences through your website to customers did not complete in making an immediate purchase. It gives you an opportunity to place targeted ads with a prospective users while they browse through other sites. Sounds simple, right? But before you decide whether e-mail remarketing, Google remarketing or Facebook remarketing is your choice, you’ll want to know why it is important and some of the good reasons that will help raise your brand profile, sales, sign-ups and optimized conversions. In Daniel Kahneman’s book, Thinking, Fast and Slow he delves into the two complex systems of the human minds that drive the way we think. System 1 is fast, impulsive, intuitive, emotional and often led off course, while System 2 is slower, more logical, thoughtful, and takes more time to make decisions. Analysing how humans use (and sometimes fail to use) both systems, and the resulting implications is the very reason why remarketing works. For remarketing to work, we want to know how these two systems shapes our buyer’s judgements and decision. In system 1, we have a clear-cut picture of our audiences taste and because they’re often led off course, we remind, reinforce and reiterate several times over why they should care. A limitation for audiences in System 1, is that it cannot be turned off. If they are shown a picture or a word on the screen over something familiar, audiences will act on it. And that’s what sticks for remarketing in businesses. We know how incredibly powerful search ads and organic ads can be, but with remarketing the entire advertising model changes. You’re no longer static. As a brand, you want to create top-of-mind recall and find ways to have an impression. Remarketing does that exactly for you, without having to invests millions in brand building. With display remarketing, you are in control of you want your brand to be perceived as and have room to display that creativity with your audiences. It’s so effective that there are countless case studies proven to show why remarketing can even make your content marketing and SEO 7x more awesome. #3 Increased Quality Score. Voila! While remarketing may move the needle, it also increases your quality score. Think about it, you’ll be targeting people who have shown some interest from your ad based on their search queries. Word Streams have even once said that with Google Display Network, every 0.1% increase in CTR yields a 20% decrease in CPC. And, the same is true in reverse – decreases in CTR = increased CPC which is not a great thing. But, Facebook Relevance Score has a 1% increase in Post Engagement which results in an average 5% reduction in cost per engagement. To keep that quality score going, be nimble and smart with your approach by focusing on engaging and clickable remarketing ads to the right demographics. Note that remarketing only works if you have large number of visitors. If your primary visitors have stayed on your page for only 30 seconds, it won’t work and this is when you need to find the right keywords and know what your customers are searching for. Marketers out there know that to better understand your audience, you need to know how to utilize all the data available in order to solidify your marketing strategy to launch a campaign. Google Display Network and Facebook remarketing platforms acquires all the key areas that help determine your audiences behaviour, demographics, location, interests and mobile device. Using this as a goldmine of information is what truly makes your marketing campaign robust. Data has a truly powerful way of sharing with us insights that saves us the hassle of spending hours digging through pages and platforms. If a remarketing campaign reveals that a majority of your audiences visit home improvement related websites to get the latest hacks, then this is where you should park your money in purchasing ad spaces in targeted home improvement sites or creating events specific to home-improvement hacks. Similarly, using Facebook’s Lookalike Audience feature will allow you to cast a wider net towards a particular reach by displaying ads that showcases traits similar to your targeted audience. Your customer types a keyword search query and they land in your competitor’s websites. That’s no longer a problem with remarketing. This purely means you can target audiences who have visited websites that are in direct relation to your products. Getting serious about conversions, also means conducting split tests before getting knee-deep into a long-term marketing campaign. With Google working its way to increase search ad bids relevant to certain segments of the remarketing lists, you know that remarketing is a proven formula for success. In fact, 10-20% average incremental lift in conversions takes places when remarketing is split tested. After running the split, be sure to let campaigns run long enough to gather sufficient data for a meaningful comparison. Let analytics surprise you positively when you compare metrics for each segment in your report. By paying attention to your audiences varied interests and choices, you’ll be able to craft content and be strategic with your decisions. Your site experience becomes better and your content is far more localised and customized, resulting in return visitors and increasing your overall traffic. This goes beyond established websites, but guest blogs that are helping in boosting your online presence. This saves a lot of your time by focusing on sites that provide a value on the time invested with all the content creation effort. If you’re all about ensuring your shopping cart leads to the check-out page, it is important to understand who your audience is, what triggers their interest and how they make that conversion happen. And if it does not, it’s time to setup that shopping cart abandonment email remarketing campaign. If you think that the convention approach to remarketing such as resurfacing ads and product and services have run dry, there are bountiful ways to use technology to keep that conversion rate high. Whether it is product push, audience segmentation, categorising your promotions, there are ways to change it up and leverage e-mail remarketing to complete their final action to make the purchase. Alternatively, displaying complementary items that may trigger their interest is one sure-fire way to keep your customer engaged. Conclusively, remarketing has been known for its versatility and giving them a personalised experience is what you can do remain competitive and ahead in the saturated market. Remarketing for businesses need not be complicated. Devise a marketing plan, lay your specific business goals, perform split tests and understand what gets your audiences interests going. As you try new ways and figure what it takes to avoid cart abandonment, you may invest time in testing various specific campaigns relevant to your contact page or promotion page. Need more content marketing materials to keep you updated on the business front? Start your campaign first, and refer back to your resource page to get fuelled with more ideas.